Become a Pet Foster or Pet Transporter Today! Have you ever thought about Pet Fostering? It’s a wonderful way to help save pets from high-kill shelters. When you foster a pet, you are actually pulling them out of the shelter where they would be put down if they are not adopted, and giving them more time to find their forever home. By caring for a pet while they find their new adoptive family, you are helping lower the number of pet deaths in the United States. 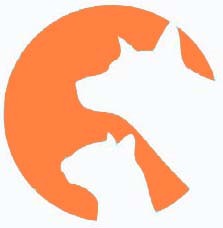 Helping save the lives of pets in the US. Pets provide a companionship that does not require a long term commitment. You can make a difference in helping rescue dogs by providing them a short term home. You get to try out different breeds and see what size, shape or breed might work for your own pet needs. You can make a difference in a pet’s life who was abandoned, abused or neglected previously. Pet fostering costs are also paid by the people who rescued the dog, so there is no out of cost pocket for you. Pet fostering is rewarding and can make a difference in not only the pet’s life, but in yours. Give it a try and find out what other pet fosters already know – how rewarding helping save a pet’s life can be. 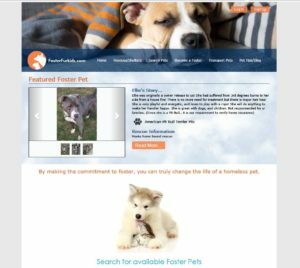 If you want to help out in your local community, please visit our sister-site www.FosterFurKids.com and sign up for free to join our nationwide database. We have pet shelters joining our system everyday to find pet fosters or pet transporters in all areas of the United States, and we need you to sign up to be connected with a shelter in your area. When you sign up you can specify what breeds you prefer, size, your availability and more so you shelters will know your preferences right away. There is no cost to join, and all of you information is kept private, and only shared with shelters who are seeking a foster in your location. If you sign up and find yourself busy for part of the year, that’s ok – just let the shelter know if they contact you, and you can stay in the database for another time.